12:28 PMCoogi (although it wasn’t “down to the socks“)? Check. Butter Timbs? Check. Lil’ Kim by his side ready to run through the 1995 Junior M.A.F.I.A. hit single, “Get Money.” Check. Rich Homie Quan not only stumbled through the lyrics of The Notorious B.I.G.’s verse on “Get Money,” he straight forgot them altogether, leaving Lil’ Kim to pull double duty. I can understand dropping the ball on “Notorious Thugs,” or “Everyday Struggle” or “Who Shot Ya?” While they’re classics in their own right, those aren’t pop-culture staples the way the Junior M.A.F.I.A. banger is. But you absolutely cannot desecrate “Get Money.” Especially when they’ve got you on tape saying this before the damn show! To be fair, I get it, people make mistakes. Performing someone else’s songs isn’t as easy as it seems. And there’s a certain level of pressure that comes with spitting a legend’s lyrics. Lupe Fiasco caught flak in 2007 for a two-bar mishap on the late Phife Dawg’s verse from A Tribe Called Quest’s “Electric Relaxation.” But with Fiasco, it was a minor fender bender compared to the 20-car pileup that was Rich Homie Quan’s. And, look, I like quite a bit of Rich Homie Quan’s music. That first Rich Gang tape with Young Thug was incredible. But a spade has to be called a spade — you can’t be out here having Biggie choke on his T-bone steak, cheese eggs and Welch’s grape up in heaven. Rich Homie Quan, you signed a damn contract. Know the damn lyrics! I don't know my passport number or my drivers license number by heart but I know BIG's "Get Money" verse verbatim. 2:55 PMNo matter where Golden State Warriors forward Draymond Green goes, controversy seems to follow. The 26-year-old was arrested Sunday for reportedly assaulting a man at a restaurant in East Lansing, Michigan. Police described the incident as “basically an altercation between two guys” and there were no injuries. He was released on a $200 bond the same day, police said. Green’s arraignment is scheduled for July 20 and, if convicted, he could face up to 93 days in jail and a $500 fine. The Warriors released a statement to the media saying they are aware of Green’s situation and in the process of gathering more information. Green, who played for Michigan State University in East Lansing, just completed his best season since being drafted by the Warriors in 2012. He appeared in 81 games, averaging 14 points, 9.5 rebounds and 7.4 assists during the 2015-16 season. Green was named an NBA All-Star for the first time in 2016. 12:57 PMAfter last week’s mayhem tore the nation apart on multiple fronts, three WNBA teams decided to pay their respects to victims in different ways during the weekend. First up were the Minnesota Lynx, who are closest to the mourning out of the three teams, with the death of Philando Castile in Falcon Heights, Minnesota, rocking the greater Minneapolis-St. Paul community, never mind the rest of the country. The warm-up shirt each Lynx player wore on Saturday said, “Change starts with us. Justice and accountability,” while reading on the back, “Philando Castile. 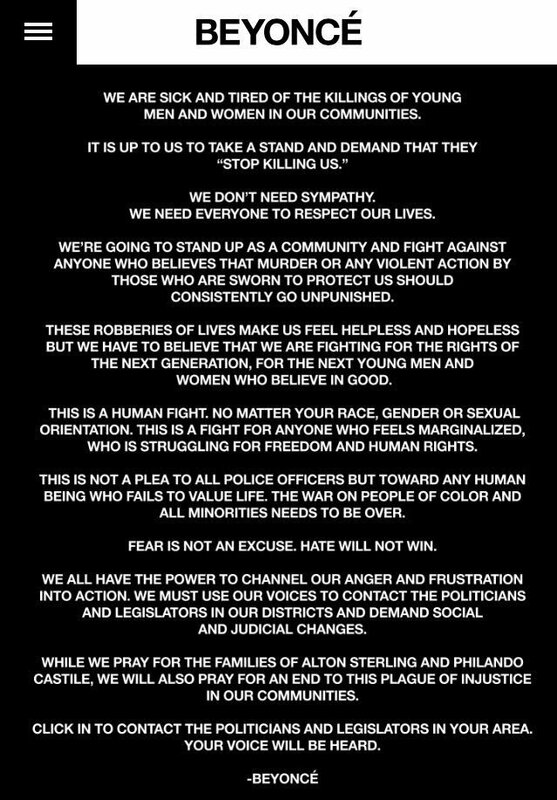 Alton Sterling. Black Lives Matter.” A Dallas police shield is just above the last phrase on the back of the shirt. 11:45 AMWhen Éder came on for Renato Sanches for Portugal in the 79th minute of Sunday’s match against France in Saint-Denis, it was clear: This was the blackest UEFA European Championships final we’ve ever seen. One dreadlocked brother came on for another, and the latter scored the goal that won the tournament. Between the two sides, they fielded 18 black players, which isn’t counting Dimitri Payet — who was born on the French island of Réunion, off the coast of Africa in the Indian Ocean. There are three reasons for this: colonialism, globalization and FIFA itself. For decades, both nations’ history as colonial powers served as a recruiting tool for sports, particularly soccer. Over the years, that fact has sparked discussion about conflicting concepts of nationalism with certain nations. Alternately, some people in France, particularly players, have used it as a rallying cry. In 2013, Nike released a version of the French away jersey with the phrase, “nos differences nous unissent,” sewn into them, which means, “our differences unite us.” Over the past 20 years, the French team has gone from looking like the main cast of the 1995 movie La Haine, starring Vincent Cassel, Said Taghmaoui and Hubert Koundé, to a far blacker, immigrant melange. Though eight of 11 of France’s black players (again, not including Payet) were born in France, many of them are first-generation Europeans, who have parents from the vast expanse of nations and territories that France colonized over the years: Senegal, Guinea, Guadeloupe and Mali. Three players were born in the Congo, Senegal and Cameroon. France’s Samuel Umtiti actually grew up in Angola, before moving to Toulouse, France. Portugal’s roster includes two players born in Guinea-Bissau, one in Cape Verde and another in Angola. Looking back, Eusebio, arguably the best player in Portugal’s history, was born in Mozambique. More largely, though, FIFA in the past decade has loosened rules to make this easier for most nations. One need not necessarily have a history of invading and pillaging in order to draw from a wider field to naturalize into your roster pool anymore. Now, you can play for more than one team at the youth level, and if a relative as distant as a grandparent is from the nation you wish to play for, you can. As an example, take Belgian midfielder Adnan Januzaj. When those rules changed in 2013, he became eligible to play for Belgium, Albania, Serbia, Turkey and Croatia. He chose Belgium, where he was born, a nation that also had one of the most diverse squads at this year’s Euros with nine black players. The wave of immigrants coming from global tragedies pouring into Western Europe has likely forever changed what the so-called traditional faces of rosters look like. It’s already infiltrated the largest soccer nations. England has long been one of the more progressive rosters, and nations like Germany and Switzerland have been steadily diversifying as well. The next phase we’ll likely see this shift in is international basketball rosters. A black swan, if you will. 9:41 AMThere are pretty much two things going on in America right now. One of them is extremely important. The other is Pokemon Go, an app which is clogging up Central Park and also getting people robbed in Missouri. This country is about as tense as its been as long as I’ve been alive. It’s hard to think of a moment recently when relations between police officers and citizens nationwide were so nakedly combative for all of the world to see. Across the country, protests sprang up last weekend following last week’s violence. In Baton Rouge, Louisiana, a particularly iconic photo of a woman named Leshia Evans has emerged as one of the images of the year, as did another of an interim police director walking arm in arm with protestors in Memphis. ABC News reports on our tipping point. If you wanted to see Lin-Manuel Miranda in Hamilton, you’re too late. The man who created this Broadway musical, which combines hip-hop with American history like none other, is letting go of his baby and walking away. His last show was Saturday night. There was a star-studded cast in his last show, and he plans to pursue other projects while he’s gone. And for as much of a star as he is, I think he’s barely scratched the surface when it comes to what his stardom could really reach. ABC’s Lesley Messer has the details of the final performance. Emojis are officially a part of my life. I use them all the time, sometimes as a joke, but mainly not. It’s pretty much just another way to talk. My personal favorite is one I’d like to think I invented, but our whole crew uses: the striker clap. 👏👏👏👏👍👍👏👉👍. Basically, it means good effort, I see you, it might not have worked out, but hopefully it will next time. It happens about once a game in soccer, if you’re not familiar. Anyway, FiveThirtyEight’s Laura Hudson has a new tool that helps you find the perfect emoji for any occasion. This thing is rather cool. Serena Williams did it again last weekend. She won her 22nd Grand Slam title in dominating fashion, crushing Angelique Kerber in the women’s singles final on Saturday. Her ascent to the top of tennis and really all of sports has been so remarkable that people like Bill Clinton and Oprah Winfrey hit her up after she wins titles, and Beyoncé and Jay Z sit in the crowd. Not to mention LeBron James giving her props. She tied Steffi Graf’s record for Grand Slam title victories, and also holds the record for winning percentage against top-five opponents. She’s the best, Jerry. The best. Take a look at her legacy. Coffee Break: With the Euros ending Sunday with Portugal as the victor, the transfer window talk is heating up. Paul Pogba, the fascinating French midfielder, who’s spent the last few seasons with Juventus in Serie A, will likely be the darling of Manchester United or Real Madrid. Either way, someone’s getting a huge boost when he decides. Snack Time: I don’t watch bicycle racing, but if you tell me that it’s possible that llamas might be blocking a road race, you’ve definitely got me at the very least interested. You should click, if only to see a bunch of llamas in public. Dessert: My homegirl Vikkie put me on to this. A full discography of all of Gucci Mane’s mixtapes. You’re welcome. 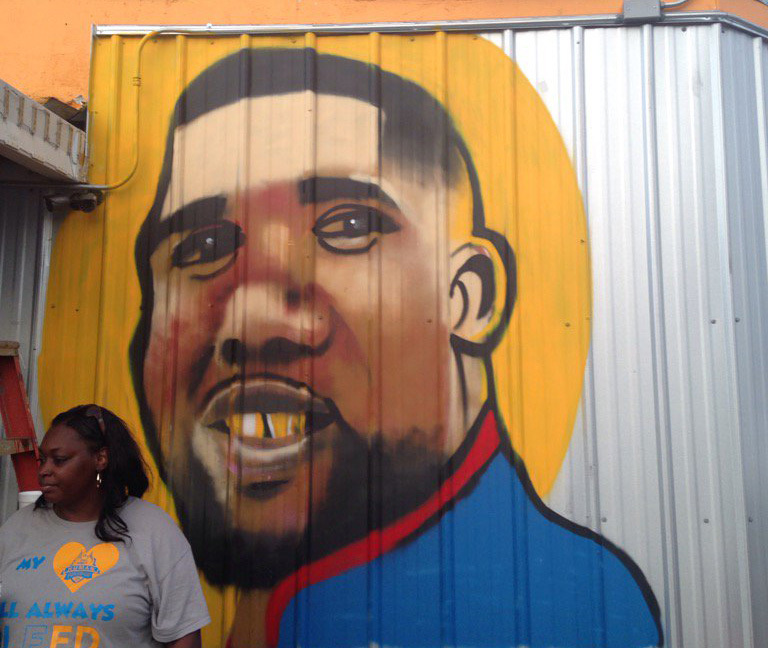 Alton Sterling had his life taken this week by a police officer in Baton Rouge, Louisiana. Shortly thereafter, a mural of his face went up at the Triple S Food Mart, where he was known to sell CDs in the parking lot. Short, simple and effective. No words needed. 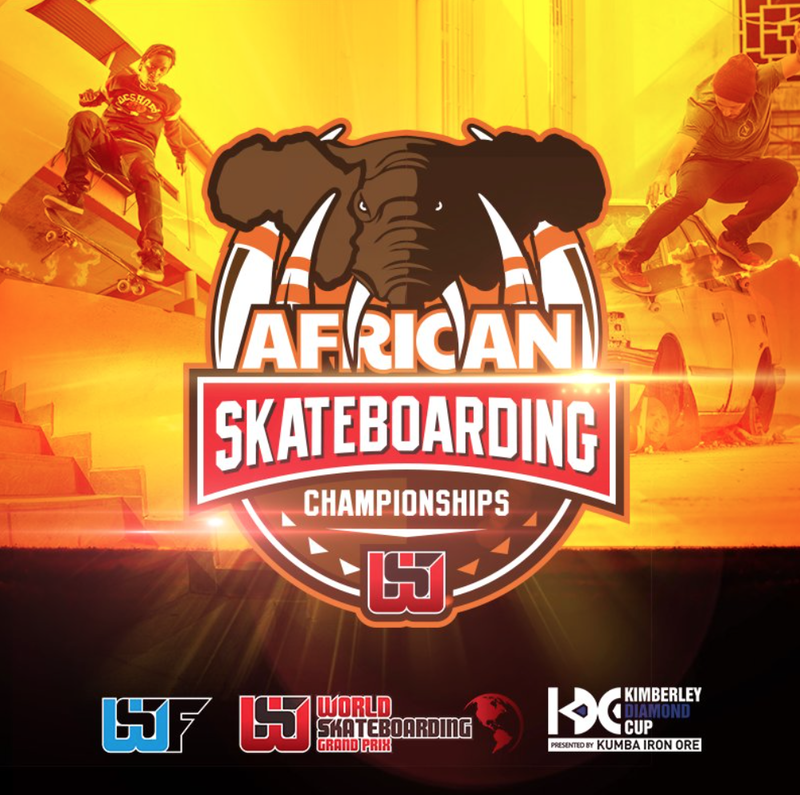 We’ve highlighted skate programs in Africa before, but today, the African Skateboarding Championships kick off in Madagascar. It’s part of a 10-country tour that began in June and includes Angola, Ethiopia, Egypt, Morocco, Mozambique, Mauritius, Madagascar, Senegal, Zambia and Zimbabwe. The World Skateboarding Federation (WSF) first sanctioned the tour after the International Olympic Committee announced that skateboarding will be a part of the 2020 Olympic Games in Tokyo. At the time, WSF also unveiled its plans for an elite training program called the African Skateboard Academy, designed to help develop the best young skaters in Africa. WSF will sponsor all travel and training costs. Skateboarding making it to the Olympics is one thing, as far as cultural wow moments go. But to see organizations creating grassroots level programs to make sure that the globe can compete on similar levels is rather remarkable. The continent’s history with skating isn’t entirely new. South Africa hosted the Maloof Money Cup World Championships back in 2011, which has since been replaced by the Kimberley Diamond Cup and is the biggest skate competition in Africa. Winners of each national championship will qualify for the Skateboarding World Championships in October. 11:00 AMThis has been one of the more devastating weeks in this nation I can remember. If you’re the kind of person that considers it a “sides” issue, fine. But either way, everyone is hurting. Know that. And try to be nicer. Please. Thursday night was another awful one in America. After a protest in Dallas, a group of people decided that they wanted to take matters into their own hands and try to kill a bunch of police officers and unfortunately succeeded in that goal. Five officers were killed, seven more were injured. If I’m being honest, I’d tell you that I can’t even deal with this. It’s not about black vs. blue, no matter what your local television may tell you. But understand that Dallas, among many other places, is suffering. ABC News has the story. Let us not forget that just the day before, a man was shot and killed by the police in Minnesota. A woman named Diamond Reynolds managed to do something like we’ve never seen and documented the whole thing, all while her 4-year-old daughter was watching. As far as completely terrifying things that have happened in the past week go, this was absolutely up there. Nobody knew where she was for a while, but now she’s back home and talking about how the incident went. ABC’s Morgan Winsor reports. So, let’s talk about a different country. One that’s having its own problems, on a different level. While we’re out here killing each other left and right with firearms of all types, in Great Britain, they’re passive-aggressively trying to ruin each others’ lives. There are people who believed that Brexit was legit going to make the country a better place, and there are others who, well, didn’t. The bottom line is that all this comes down to money, and how people can make it and where. FiveThirtyEight’s Anil Kashyap explains why this matters. Rajon Rondo does not have the best reputation. The NBA point guard has gone off the chain a couple of times in his career about things that some would consider understandable, but now, he’s on a team that thinks it has a chance to contend in the Eastern Conference. The Chicago Bulls don’t, of course, because any conference with LeBron James in it is the one that The King is going to win. All that aside, James’ homey Dwyane Wade is on that Chicago team now, which is awkward, on some level. No worries, though. Rondo says it’s Jimmy Butler’s team! Yikes. Coffee Break: There are so many drops in the business: Metro Boomin, Mike Will, DJ Mustard. You know them all. But Cookin Soul’s drop just might be my favorite. Here’s a story about him, his whole deal and how he makes beats. If you claim to care about hip-hop, you should care about the producers. It’s 2016, they matter the most again. Dessert: This is a good song. You might like it, you might not. But it helps me heal. Monsieur Antoine Griezmann, salut, mec. After opening the scoring in the semifinals of the 2016 UEFA European Championship with a blistering penalty kick against the best goalkeeper in the world, Germany’s Manuel Neuer, the 25-year-old Griezmann hit his full Drake, and broke out one of the many dances from the rapper’s 2015 “Hotline Bling” video. He did it again in the second half, which felt a tad gratuitous. It isn’t the first time he’s broken it out but it’s certainly better than the last time he did, in the game against Ireland in the round of 16. Still doesn’t beat Phoenix Suns guard Devon Booker, though. Actually, Griezmann ended up with two goals on the night for France, and the host nation has moved on to the final on Sunday in Marseille against Portugal. So yeah, Griezmann wins. In typical Queen Bey fashion, she shows up when she wants, kicks the truth, then whisks away with the towering presence that few entertainers of her stature have ever dared to reach, even if they had the power and wherewithal to do so. As a sidebar to this message, which was posted Thursday on the homepage of the musical artist’s website Beyonce.com under a tab called “FREEDOM,” a definition of the word is offered. “We all have the power to channel our anger and frustration into action,” it reads. “We must use our voices to contact the politicians and legislators in our districts and demand social and judicial changes.” Underneath, there are options to click to contact your local congressman or congresswoman, as well as links to protest the deaths of both Alton Sterling and Philando Castile. At her show in Glasgow, Scotland concert Thursday night, she displayed names of police brutality victims and held a moment of silence. For all of you out here saying that talking on Twitter and writing essays won’t do anything, Beyoncé is giving not only her “hive” but also anyone who claims to care, an avenue to at least try to make a difference. She isn’t just out here singing about formations at the Super Bowl and making your local PTA go crazy, she’s literally trying to line people up. It’s America’s favorite game show! Here’s how we play, kiddos. I show you a picture, then I tell you, if it’s woke or not. Now’s not the time to get into the discussion of whether or not that term has been fully bastardized into a mocking insult in all cases or not — two men are dead at the hands of police and celebrities are talking about it on the internet. First contestant: Mischa Barton, star of the 2000s television series The O.C. Next contestant: Olivia Wilde, also a star of The O.C. and many other things. 10:31 AMWe taped a podcast on Wednesday. Staff writer Justin Tinsley told a scary story about his night on Saturday, senior style writer Jill Hudson espoused her love for ESPN The Magazine’s Body Issue and I explained why there are things you just don’t wear on a basketball court. Tune in. In two days, two black men have been killed by police. One murder was caught on camera. The other didn’t show the act, but the aftermath was captured. Both were terrifying. Both were awful. Both led to protests. Both were not unusual. Both videos will be watched. Some people will refuse to watch both. Both will infuriate people on both “sides” of the equation. Sadly, many people believe that both men who pulled those triggers will likely never see the inside of prison cell. People didn’t even have the chance to mourn Alton Sterling, before they killed Philando Castile. It is hard to bear. On a far more uplifting note, singer Ciara and NFL quarterback Russell Wilson got married. They pulled the baller move of getting married on a weekday, which is a move I absolutely love. It’s hard not to root for this marriage. Wilson, for all the flack he gets, seems like a pretty nice dude, overall. I do sort of feel bad for his ex-wife. She was PUMPED when he got drafted. Anyway, for all the foolishness that my dude Future (Ciara’s baby father and ex-fiancé) has been pulling on social media, it’s good to see they managed to get hitched. ABC News’ Lesley Messer reports. Every time we have an election in which two candidates are polarizing, third parties come up. In my lifetime, the only person to make any real impact as a candidate other than someone from the Democratic or Republican Party is Ross Perot. But now that Donald Trump and Hillary Clinton are the front-runners, people are starting to believe that there might actually be another candidate to get behind. For that to be the case, it’s got to start somewhere. FiveThirtyEight’s Julia Azari explains which states might go for it. Introduce yourself to Gary Johnson, folks. The Williams sisters are giving me life right now. These two are smoking people all over the shop at the All England Club during Wimbledon, and Serena completely dismantled some poor girl this morning. Venus is on the court as I write this, but I have no problem saying that I’m actively rooting for an all-Williams final. Serena will be in her ninth final Wimbledon, overall. I don’t want to overstate this, but black America could absolutely use a match like that as somewhat of a healing device, if you ask me. Coffee Break: There was a time when the only way black folks could get news about other black folks, that didn’t involve something terrible, was from black newspapers. Some are still around, but for the most part, they are a rare breed. Check out this breakdown of how their circulation has dipped over the years. Snack Time: I love Vans. I wear them every day, everywhere. This new collaboration between the sneaker company and artist Robert Williams is mega dope, kiddos. That slip-on is extra fire, too. Dessert: If you need an uplifting song that came out just last week, here you go. 8:00 AMPhilando Castile is his name. He was 32 years old. You can add it to the list of black people in the past [insert whatever number you want] years that have been killed by the police for one reason or another, during what are supposed to be routine interactions. This time, however, the aftermath was streamed live on Facebook. This is what social networking is these days: a woman videotaping her boyfriend getting killed in the driver’s seat of a car by a police officer, after being stopped for a broken taillight, while her 4-year-old daughter looks on from the backseat. As of early Thursday morning, no one knew where to find the woman who captured the video from the passenger’s seat. She was later found, and identified herself as Diamond Reynolds, Castile’s girlfriend, before speaking on the situation. “Minnesota court records show only misdemeanors and petty misdemeanors on Philando Castile’s record,” the Minneapolis Star Tribune‘s story reads, as if that has ever mattered. Castile worked as a cafeteria supervisor at a Montessori school. After he was killed Wednesday night, hundreds gathered outside Minnesota Gov. Mark Dayton’s mansion residence in St. Paul, where they remained overnight in protest. It was just the night before, on Tuesday, when the people of Baton Rouge, Louisiana, had been tasked with shouldering the burden of the death of Alton Sterling, who was killed in a parking lot after an altercation with police that left him on his back, dying on the asphalt. His son, understandably, couldn’t handle it. Here’s Minneapolis NAACP president Nekima Levy-Pounds discussing the matter on the scene. Less than a day ago, a woman named Nakia Jones offered a powerful soliloquy on Facebook about what it’s like to be black and be a police officer who joined the force to do the right thing. It should be noted that she’s from and works in Cleveland, where we’ve seen multiple cases of outrageous police shootings in the past five years. It’s a harrowing look at how the job affects actual humans every day. It will not be obsolete anytime soon.